How to write emails clients want to read and take action on. Let’s get right to it: Here are my email tips. Read them all or just jump to the one that bites. Make your emails the right length. Keep track of people who should respond and do not. Also I made a little screen movie, “Four Ways to Write More Better Faster.” I use these tools every day. Go here: www.billgood.com/advisor_productivity. Write like you talk. When you talk, you use short words, short sentences and short paragraphs. Make most sentences active, not passive voice. If you wouldn’t say it, don’t write it either. This advice is all well and good. But how do you know if your writing is readable. Answer: You ALWAYS run “Readability Statistics” every time you spell-check an email, which, of course, you always do. It’s a little program buried in MS Word and Outlook. Sounds exciting, doesn’t it? It should! If your clients and prospects struggle with your prose and don’t read it, you wasted your time and theirs. Sentences per Paragraph: I want four or fewer. Use short paragraphs. Words per Sentence: In doing a bit of research for this article, I found one author who strives for 25 words per sentence. Gasp! I keep my own writing about 14. Use short sentences. Passive Sentences: Rarely hits 10%. Use active voice. Flesch Reading Ease: According to a piece in Wikipedia, a “Reading Ease” score of 60–70 can be easily understood by 13- to 15-year old students. The higher the score, the easier to read. Flesch-Kincaid Grade Level: My writing is NEVER more than 8.0. That means someone in the 8th grade could easily read it. If my “grade level” score is higher than 8, I will go back through the article paragraph by paragraph looking for big words, long sentences, and long paragraphs. Those are the elements that make for complication, which reduces readability, which reduces your ability to persuade. Here are some rules of thumb. “Call me” emails are short. Bob, call me. We need to talk about your Brazil High Growth Fund. Invitations can be short if they link to a longer piece on your blog or website. I would love for you to attend “What to Do With Cash Now.” It’s a dinner seminar, Tuesday night at Ruth’s Chris and Thursday evening at Billy Bob’s. There are options you should consider. The complete invitation is on my blog here. Invitations with no additional information must be long. You have to sell people on giving three hours of their time to come listen to you. How long? I have gone 600 words, sometimes longer. “Here is the info” emails: People request info all the time. Your job is to send it AND get them to read it. This style is a few paragraphs and ALWAYS gives benefits they will enjoy when they read the requested info. Here is the info on the Individual 401(k) plan you requested. I’ve been studying headlines for seminars. I wondered: “Aren’t subject lines just headlines?” Do they follow the same rules? Answer: evidently not, at least according to MailChimp, which processes hundreds of millions of emails a second, minute or some such. I started my study by Googling “How to write subject lines.” The first search results all pointed to some articles by MailChimp. 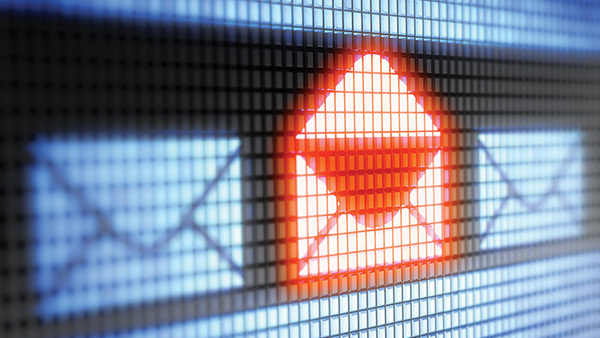 One of their studies analyzed open rates of 200 million emails. The results were eye-opening. When to write the subject line: The idea may come to you any time. But I’m thinking the best time is after you have written the mail. Let’s say you are sending an email to Bob and Bertha Barking. It’s that time again … time to step back, take stock, and make sure we are on course. Please call Jewel in my office to schedule your review. As always, please bring your last two years’ tax returns as well as your 401(k) statements. According to MailChimp’s advice, what should the subject line be? Call Jewel to schedule your review. It’s time for your review. I vote for No. 5. I write lots of emails. Today, 45. To some of these, I expect a reply. I cannot tell you how many different ways I have tried to keep track of who should respond: spreadsheets, flag in Outlook, logs, you name it. That’s right, your inbox can be sane. If I send you an email on Monday, I would normally expect a reply Monday or Tuesday at the latest. At 6:00 a.m., on Wednesday, that email I send you on Monday pops into my inbox. I glance at it, and if you answered, I delete it. Bob—I hate to be a pest but … here’s the email I sent you Monday. Can you reply before the weekend? Then I send a bcc to for 6:00 a.m. Saturday. I am always up and planning my day by 6:00.